The following is a guest post by Cassidy Hennigan. Cassidy is an HR professional and a fellow Templates Assistant contributor. She loves cracking raw data, devouring marketing and technology advances and pulverizing nagging habits through goal setting, automation, and ethical hacking. You are kindly invited to visit Cassidy’s Twitter @CassidyHennigan. Content marketing is the number one trend that continues to redefine what good advertising means. The audience is thrilled to learn many interesting details about their favorite products. Moreover, the companies seem to thrive on honesty and transparency with their customers. However, the only team that takes up all the hard work is the editorial one. With the rise of demand for quality content, their job just got a lot harder. So, let’s see what you can do to tap into a new speed gear for your daily editorial process. Content Process is one of the most wonderful jobs in the modern workplace. You work not with reports, business partners or financial statements, but with words. There are many people who would love to learn more about this career, including your employees or coworkers. Of course, everyone wants their work to be perfect. But taking up too many tasks will drain your creative juices too quickly. Delegating is what a true leader has to do. You not only regain the capacity to focus only on the bigger picture, but you will also invest time in your team’s career. And once the team learns new things with each passing day, the overall productivity will reach new heights. But you can’t just ask your coworkers to learn a new profession by themselves. You need to set predefined roles for all of them. Then work with each of them to teach the subtleties of their vocation that they cannot come across someplace else. When delegating, it is important to stay involved with your creative team and don’t ask for results, just commitment. Content Director – this is the point where all your assignments come from. This professional is the link between your team and the digital marketing department. The Content Creator receives updates on the upcoming online campaigns and then sends you the task descriptions. Content Manager – this member oversees the entire operation that happens in your He or she controls the bigger picture and knows how and when to help when to assemble meetings, and when to redirect the efforts to a better path. Managing Editor – this job takes place on several levels at the same time. 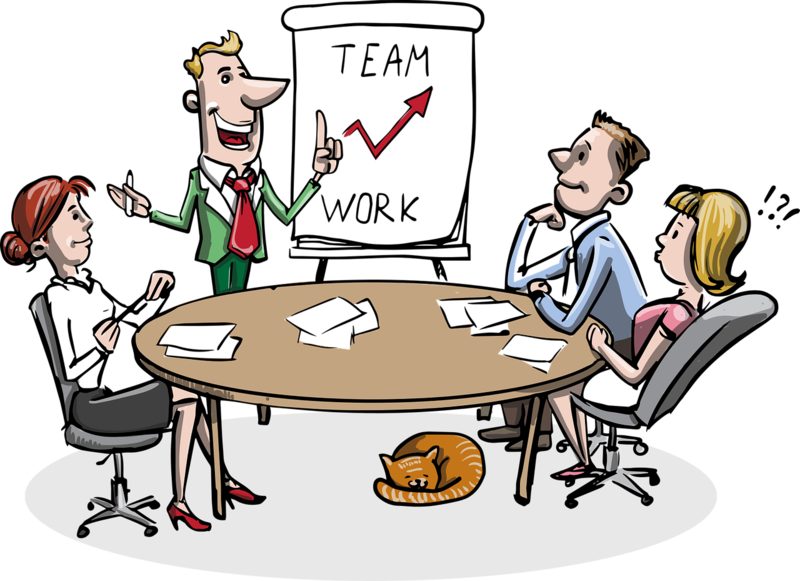 A Managing Editor has to edit copywriting pieces, manage all the writers, join in one-on-one meetings with the content manager and is in charge of the updates for the content calendar. And all this work happens in one day. Analytics Manager – this guy takes the pulse of the impact your content generates across the web. He or she works with Hootsuite or Buffer for social media feedback and Analytics tools to measure the success scored on the official website and blog. 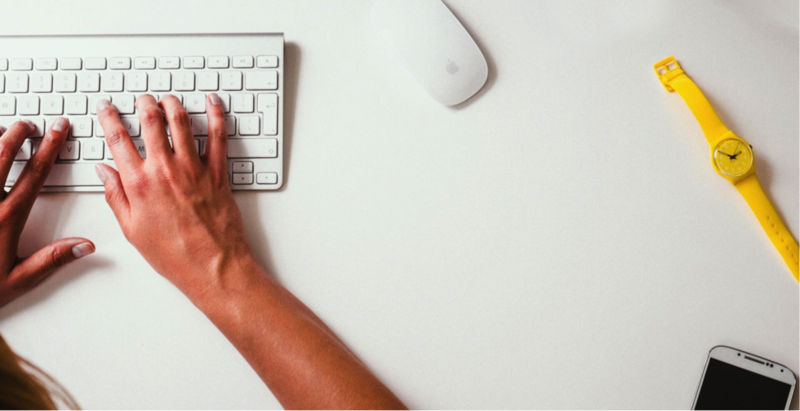 Content Writers – the wheels that put the content factory into action. They can work within the office, or they can be freelancers contacted through online platforms. The best way to collaborate with them is to settle specific KPIs that any piece of content needs. For example, you can specify for each task the number of words, topic, and a number of images to streamline communication. Proofreaders – they don’t live only for spotting mistakes, but they have to be that fresh breath of air an article needs when it is written in haste. A proofreader has to look at the overall ambiance of the article and make sure it aligns with the culture of the company. Designers – even though many editorial teams lack such a professional expertise, it is best actually to have one and not just a website with stock images. A designer will create compelling visual content that generates the right shock the article wants for its readers. Moreover, a designer knows how to stamp all his or her work with your brand so that the visitors will remember your company for a long time. There are many software developers out there that bumped into your kind of time-consuming issues and created a solution for them. 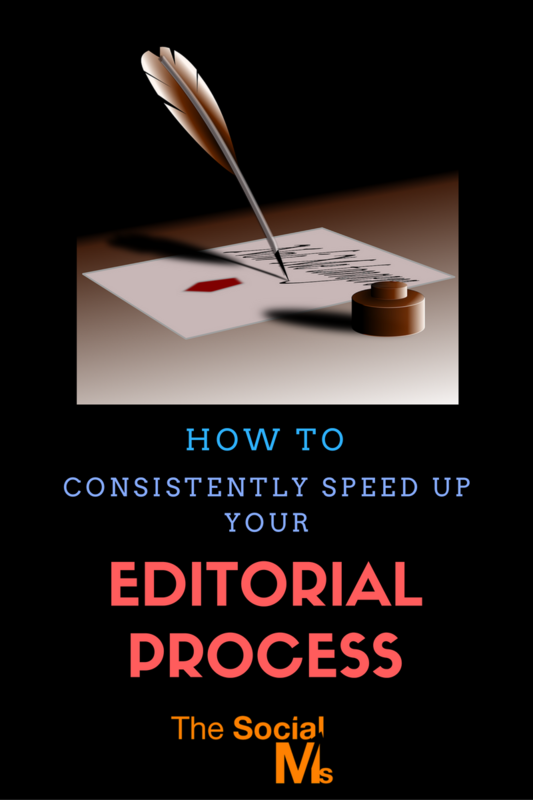 Consequently, you have plenty of applications and tools at your disposal to speed up your editorial process. Why waste an hour or more on something when you can fix it in five seconds? Grammarly – your eyes might have turned into well-trained hounds to track down grammar mistakes, but our human power has its limits. On the other hand, Grammarly can scan all your content with one click and find the well-hidden Late hours or Fridays with is weekend butterflies can always distract you from your work. So, you can ask Grammarly for a second opinion that never grows tired. Asana – you don’t need to run a marathon each day between departments and offices. With Asana, you can create a task, delegate it to the right person, and supervise the progress. You can also leave comments on guidelines and KPIs, set deadlines, and form groups. This way, you also keep freelancers under control. Google Calendar or a simple Excel Spreadsheet – you think you know your next move, but the tasks’ deadlines might advise you otherwise. When you don’t keep a record of your many projects, you might lose control over them. So, a simple calendar is the best choice to manage your work with an iron hand. You can check with just a quick look the due date, the name of the writer, keywords, notes, and publishing date for days ahead. Canva – in the absence of a professional designer, Canva can help you customize your stock images. You can create visual content especially for Facebook posts, blog graphics, presentations, infographics, and more. When you need to insert to your image a catchy text in a beautiful frame, you can always count on Canva. 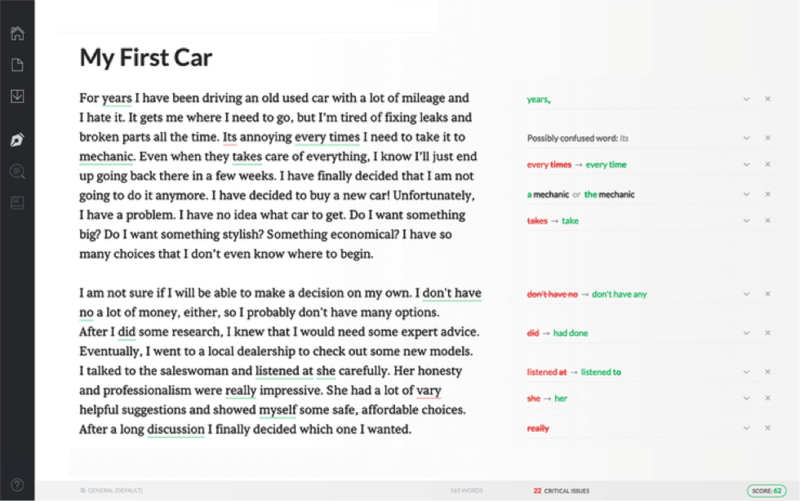 Hemingway App – this software won’t correct your grammar mistakes. However, it will help you change your copywriting to fit in the online world. The thing is that people don’t read blog articles the same way they read a paper book. Because there are many distractions on a website, your visitors would rather scan your content in an “F” shape than read it line by line. Hemingway will simplify your text so that it will be a lot easier to follow the train of thoughts. So, get ready to remove adverbs and passive voice constructions, simplify long sentences and the ones that are hard to read, and replace complex phrases with their concise alternatives. All members should know and understand their role within the team in a clear way. However, this doesn’t mean that they have no longer the possibility to work together. For some people, this technique is a waste of precious time. For others, a brainstorm meeting turns hours of work into long-lasting successful results. So, don’t seclude your co-workers in their cubicles. Instead, make it a habit to gather them together and harness their combined creative powers. Of course, each of them has a deep pocket filled with daily ideas. But just imagine what would happen if you toss their content in the middle of the room and start building compelling topics with these pieces. With the right brainstorm, you can combine and extend the ideas of your colleagues. The best way to obtain all the benefits of this kind of sessions is to start with a creative exercise. For example, give the participants one word, like “spoon.” Give them five minutes to come up with as many phrases as they can find with the given word. Then, ask each of them to say the best phrases they created. As a final exercise, allow them five minutes to find ways to create something with a spoon, like “spoon fan,” “spoon canvas,” “spoon carpet,” “a dollhouse made of spoons,” “solar panels,” “sculpture” and so on. By the end of this exercise, your colleagues will activate their out-of-the-box thinking. Now, you are ready to enjoy a spectacular brainstorming, where everything is possible.